How Will Frampton Compare to his British Counterparts on American Soil? In 17 days’ time Carl Frampton (22-0-KO14) will be facing off with Leo Santa Cruz (32-0-1-KO18) for the WBA Super world featherweight title in the Barclays Centre, New York. This will be ‘The Jackal’s’ first world title fight up at featherweight after he vacated the WBA and IBF world super-bantamweight titles. The highly rated 29-year-old’s prompted move up to featherweight came after he convincingly beat bitter rival; Scott Quigg (31-1-2). The Northern Irishmen displayed superior ring intelligence and punch prowess to defeat Quigg and claim the WBA and IBF world super-bantamweight titles. His journey so far has been a fruitful one, but his only previous experience of fighting in America didn’t go according to plan. Prior to the domestic dust-up with Quigg, Frampton defended his IBF world super-bantamweight title against Alejandro Gonzalez Jr (25-3-2) with a unanimous decision victory, at the Don Haskins Convention Centre, El Paso, Texas. Despite getting over the finish line, it undeniably was not the American debut Frampton would have dreamt about. He struggled to perform and was forced to climb off the canvas twice in the first round. Sometimes a champions grit, willingness and determination is called upon and Frampton duly responded, unfortunately it just wasn’t the ideal setting for that moment. 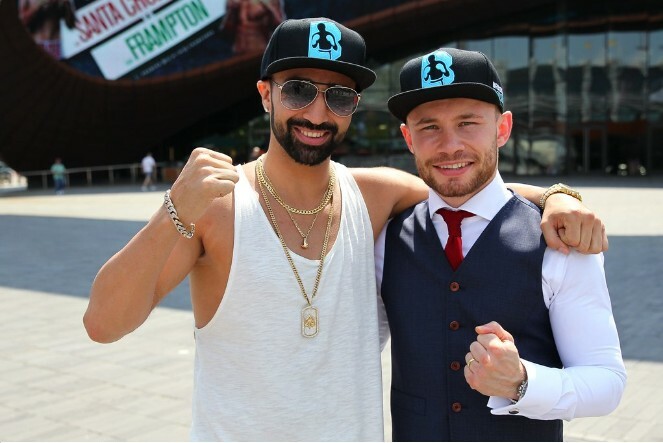 This time round, in the ‘Big Apple’, Frampton will be eager to set the record straight and show his true talents to the American boxing fans against Santa Cruz. Hitting America as a boxer is like becoming a partner at Nike, it’s like reaching the top of Machu Picchu, it’s like vacationing in Bora Bora. It’s the big time. And for years, some of the best British boxers have crossed the Atlantic in an attempt to conquer America. Some of Frampton’s British counterparts have succeeded, some have failed. The undisputed heavyweight king, Lennox Lewis (42-2-1), initially struggled to win over the American public until he put on a dominant performance in the controversial draw with Evander Holyfield in 1999. Out of the 44 professional fights Lewis had, 22 of them were in the United States. It was not until he became undisputed champion in Las Vegas against Holyfield that he reached superstar status alongside with the likes of Mike Tyson. Another Brit that took America by storm was ‘Prince’ Nassem Hamed. His American debut; similarly, to Frampton but with a whole lot more drama, was a thrilling encounter that made him an instant hit. Hamed climbed off the canvas three times before stopping fan favourite Kevin Kelley in Madison Square Garden, New York. In more recent times, Kell Brook and James DeGale have tasted success in America both winning world titles against homeland opponents. Carl Froch experienced the highs and lows of America, he was on route to a points loss to Jermaine Taylor before sensationally knocking him out in the last round, but was outclassed on American soil by Andre Ward two years later. British hero Ricky Hatton, has hurtful memories of Las Vegas as he suffered two career-damaging losses to Floyd Mayweather and Manny Pacquiao. So how will Frampton compare to his British counterparts on June 30? The Northern Irishmen made his professional debut as a featherweight and he was always a big super-bantamweight. There were strong rumours that Frampton often struggled to make the 118lb limit and there was obviously some truth in those rumours, so weight shouldn’t be an issue. The Tiger’s Bay boxer is in with a shrewd customer in Leo Santa Cruz though, his style is bullish and aggressive and he is yet to taste defeat. It’s proven that Carl can be hurt, Gonzalez put him down twice and he isn’t renowned for being a massive puncher. ‘El Terremoto’ is the bigger fighter, standing two and a half inches taller and has an 18cm reach advantage. It’s a menacing task. Cruz’s style is problematic, Frampton will be cautious to fight on the inside, but his opponent is rangy as well. However, Frampton has the mental attributes to stick to a game plan and possess’ the boxing tools to pick the Mexican apart. Providing the mental scars of the Gonzalez fight have healed – which they should have after the Quigg fight, he will be filled to the brim with confidence and certainly has the skills in his locker to do the job. ‘The Jackal’ prides himself on his ring intelligence and footwork and he will need to implement these skills if he is to win. His trainer Shane McGuigan is one of the hottest and most sought after trainers in boxing right now and he will be fundamental to Frampton’s chances. Despite Britain being the desired location for the biggest fights right now, highlighted by the super-fight between Gennady Golovkin and Kell Brook, America is still the place boxers want to make a name for themselves, mainly for the financial prosperity. In recent times, the success of British boxers in America has been auspicious, although that all goes out the window at the Barclays Centre in 19 days’ time as far as Frampton’s concerned. it’s his moment now, to put his name in the spotlight and become a two weight world champion and create more British success on American soil. Is boxing under British rule? British boxing is soaring in the professional and the amateur game. 12 World champions and Nine boxers qualified for Rio 2016 so far, with more places up for grabs. Nicola Adams, Galal Yafai, Muhammad Ali – fortunate name, Joshua Buatsi, Lawrence Okolie and Joe Joyce all booked their place by winning gold medals at the European Continental Qualification Event in Samsun, Turkey. Qais Ashfag and Joe Cordina qualified with silver medals and Antony Fowler picked up a bronze medal. The largest GB boxing team at the Olympics was back in 2012, when ten boxers (seven men, three women) qualified for the home Games. The women have a chance to add to the nine already qualified at the World Championships in Kazakhstan in May – four places are available in each weight class. The men will have two more opportunities to make it to Rio at qualification events in June (Baku, Azerbaijan) and July (location to be confirmed) when eight more places at both light-welterweight and welterweight are up for grabs. With nine qualified already and several places still available, there’s every chance Team GB will have its largest team ever at an Olympics this year in Rio. By law of probability, the more competitors there are, the greater the opportunity is to win more medals. At the London Games, Team GB’s boxing team won five medals – Nicola Adams, Anthony Joshua and Luke Campbell all picked up gold medals while Fred Evans won a silver and Anthony Ogogo took home the bronze. Despite the ludicrous inclusion of professionals in Olympic boxing – which undermines the hard work put in by amateurs, Team GB are hopeful of surpassing the medal tally from 2012. Historically, Cuba have produced the best amateurs, but Britain has taken over the baton in recent years. Team GB won the most medals in 2012 which is confirmation of that. Over the last ten years or so, Britain have produced some wonderful amateurs, some of who have gone on to prosper in the professional game. One of the latest to do so is Anthony Joshua (16-0). He made a seamless transition from the amateurs to the professional ranks, and the fact he is the current IBF World heavyweight champion after just 16 fights, is testament to that. Another hero from 2012, Luke Campbell (13-1), is thriving in the professionals and is currently the Commonwealth lightweight champion. Campbell did come unstuck two fights ago, losing his WBC International lightweight belt to Yvan Mendy. But he remains a great prospect who is tipped for future success. There has been no point in history where Britain have boasted so many world champions. 2007 was the last time Britain had an even comparable amount of world champions, then there were six, which indicates how far British boxing has come. Featherweight Stephen Smith missed out on the opportunity to become Britain’s 13th world champion when he lost his world title fight with Jose Pedraza. But Silver medallist at the 2004 Beijing Games, Amir Khan, fights for the WBC middleweight title on May 7 and Tony Bellew fights for the vacant WBC cruiserweight title on the 29 May, so the number of British world champions may well rise to greater heights. In the early 1900s America dominated the sport, after English colonists bought boxing to the shores of America. The achievements of Jack Dempsey in 1919-26 resulted in personal financial prosperity. He was the first person to produce $1 million and $2 million gates in the sports history. This made him an icon and encouraged working-class youths around the nation to take up the sport in hope they would earn vast amounts of money. This made boxing one of the few sports that actually flourished during the Great Depression. Since the 1950s boxing in the states has been dominated by Puerto Rican, Mexican American and African American fighters. This is evident in the sport today with fighters like Leo Santa Cruz and Miguel Cotto. But there has been a slight change in the balance with the huge improvement of British fighters. The history of British champions is not a rich one. Instead of having several champions at once, great boxing talent was few and far between. Although there were some great British world champions, such as; Terry Downes; John H Stracey; Charlie Magri; Terry Marsh; Nigel Benn; Chris Eubank; Frank Bruno and Lennox Lewis. Boxers from certain nations and continents have a certain representation and view. The South American and Mexican fighters are well known for their durability, the American fighters are well known for their swagger and slick technical skills. What are British fighters known for, what is a stereo-typically British fighter? Now’s the time to start thinking about that because Britain are on the rise and have boxers at amateur and professional level that posses a lot of talent. America currently have eight world champions, the closest amount to Britain, so is boxing under the reign of the British? For a British boxer, this is the prime-time, with four world sanctioning bodies and 17 weight divisions there is more chance than ever to accomplish the dream and capture a world title. A plethora of money has been invested into British boxing and there are more television channels showing boxing, more fans are attending and watching fights and more boxers are joining the professional game. Boxing is in a good place as a whole. The major thing for the sport that has helped increase the popularity is the renaissance of the heavyweight division. Boxing has another Brit to thank for that. The heavyweight division was in a deep, dark abyss before Tyson Fury dethroned Wladimir Klitschko. The win not only exploded the division into life, but it got people talking about heavyweight boxing again. The convention that the heavyweight world title is the greatest prize in sport was well gone, with the likes of Muhammad Ali, Joe Frazier, George Foreman and Rocky Marciano as a distant memory. But dare I say it is on route back to re-establishing this common viewpoint once again. This is a golden age for boxing. No doubt. Audiences in the US have doubled over the last decade and there is more boxing on now than ever before. With strong broadcasting rivalries between Matchroom and Sky and Box Nation, it’s never hard to find a great fight on the box. With plenty of amazing upcoming fighters and fights to be seen it should continue this way. From a patriotic stance, why not enjoy it when you’re at the top, the sport is great again and British fighters sit at the top of the pile, long may it continue. The 30-year-old will certainly be aiming for a medal in Brazil after qualifying. The Londoner outpointed Magomedrasul Majidov – the last person to beat Anthony Joshua to confirm his spot at Rio 2016. After the victory, he performed a trademark back-flip and this could become a familiar sight. If the caliber of his brothers are anything to go by, we can expect big things from Galal. The southpaw’s selection was somewhat of a surprise due to his inexperience but he proved his worth by qualifying. Both his brothers, Khalid and Gamal have both turned professional and are undefeated in their careers so far – (18-0) and (9-0). The MBE is the first women to win an Olympic boxing title and she will be eager to retain her crown at the Rio Olympics. The 33-year-old is a national hero and is one of the most decorated amateurs in the sport. (36-0) The undefeated IBF welterweight champion of the world is a special fighter. After defeating Shawn Porter to capture the world title the special one has won three easy mandatories and is on the prowl for a huge fight. 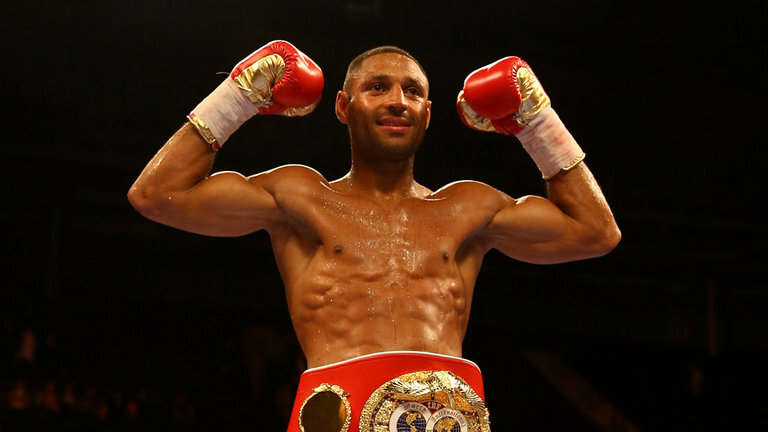 His next fight will tell us all we need to know about Kell Brook and with Eddie Hearn as his promoter and some huge names in the division, we can expect an explosive fight next. One of Britain’s best. The Jackal is undefeated (22-0) and holds the IBF super-bantamweight title. The titlist took the WBA world title of rival Scott Quigg in their domestic showdown back in in February, but has been subsequently stripped of it after refusing to face their mandatory. The Northern Irishman has a massive following and his next fight against Leo Santa Cruz up at featherweight will show the world if he really is one of the best in the business. He needed to be mentioned. The Rings fighter of the year will be fighting Wladimir Klitschko in a rematch on July 9. After a long break Fury is back and has said he still has the motivation to go on and become one of the greats. Time will tell if that last statement becomes true but right now he is one of Britain’s many great world champions.